If you're not sure whether to go ahead with surgery, think about the pros and cons. It may seem like a daunting task, but with your doctor's help, you can lay out the risks and benefits. Take some simple steps that can make it easier to decide. No. 1. Learn what to expect. Ease your pain or get rid of it? Improve how your body works? Keep your condition from getting worse? 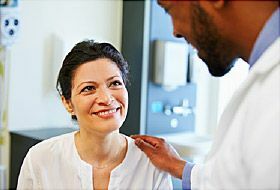 Decide how important it is to get relief, says Frederick L. Greene, MD, a medical director at the Levine Cancer Institute in Charlotte, NC. Look at the impact your condition has on you now. Then ask yourself: Does it bother you or limit your lifestyle? Think about how likely it is that the operation will work. Ask your surgeon what the success rate is, says Todd J. Albert, MD, surgeon-in-chief at the Hospital for Special Surgery in New York. "What's the percentage chance of it taking the pain away?" Ask how long the results will last and if you'll need more procedures later. Compare that with what will happen if you don't have the operation. No. 2. Review other treatment options. Sometimes there are ways to handle a problem without surgery. Your doctor can help explain your choices. For instance, lifestyle changes may improve certain conditions. Ask your doctor if that's possible for you and whether or not you should consider it before you decide to have surgery. You may be able to do what's called "watchful waiting." That means you hold off on surgery while your doctor keeps an eye on your health to see if it gets better, worse, or stays the same. But that may not always be the best option. "Sometimes by not having surgery, you're really harming yourself," Albert says. Get your doctor's opinion. No. 3. Check the risks. Ask your surgeon about possible complications and how likely they are. No surgery is 100% risk-free. Albert suggests you find out about the most common complication as well as the worst thing that can happen. Then ask about the likelihood of each. That can help you make up your mind about surgery. No. 4. Review your surgeon's background. What's your experience with this surgery? Who else will be operating on me? How many times have you done this operation? The quality of the hospital or medical facility also matters. Check its ratings and inspection history. Find out who will be on your team of caregivers and what their training and experience is. No. 5. Check your recovery period. Ask your surgeon what to expect after the operation. Find out if you'll need to stay in the hospital and how long will it take before you feel like yourself again. See if you need any supplies at home while you recover. Look at how your recovery will affect your daily life. "It's important to know what limitations you may have," Greene says. You might not be able to work at first, or you may need to wait for a bit until you're allowed to lift your young child or drive to pick him up from day care. No. 6. Know the costs. You don't want to skip an important surgery because of price. But if you're concerned about how you'll pay for it, talk to your insurance company about how much it covers. Also contact the business office of your hospital or doctor. Ask them if there are ways to lower costs and make the procedure more affordable for you. No. 7. Get a second opinion. Talk to another doctor to help you decide whether surgery is the best option for you. You can ask your surgeon, health insurance company, or local medical society for recommendations on who to see. Frederick L. Greene, MD, Levine Cancer Institute. Todd J. Albert, MD, Hospital for Special Surgery. Johns Hopkins Medicine Health Library: "Questions to Ask Before Surgery." U.S. Department of Health and Human Services, Agency for Healthcare Research and Quality: "Quick Tips -- When Planning for Surgery."